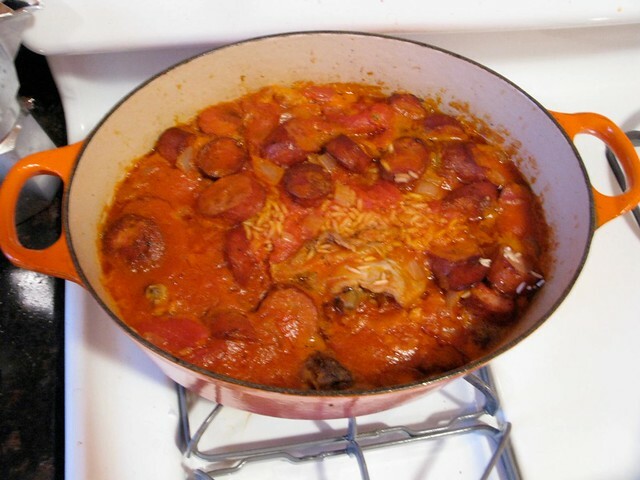 Surprisingly, in my six years of running this site, I’ve never cooked a cajun dish. Shocking, I know, and deeply irresponsible. 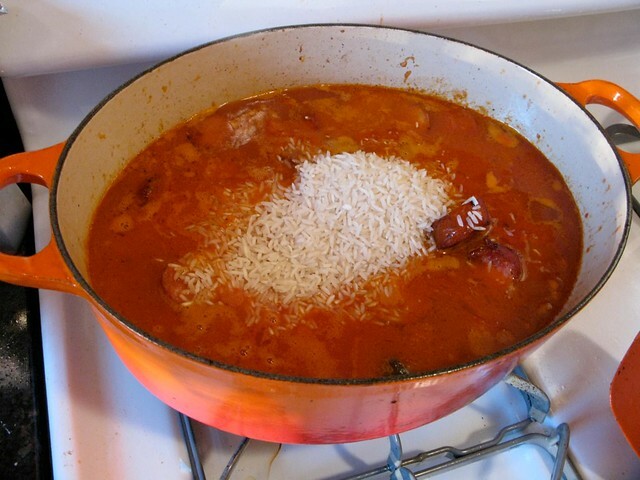 Cajun food, like jazz music, is one of America’s great indigenous art forms and the fact that it’s taken me this long to finally cook something cajun should be cause for mass rebellion amongst my readers. 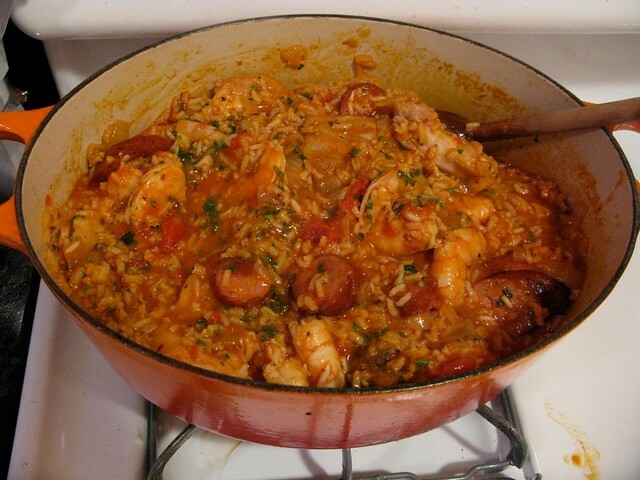 But I’ve repented with the dinner you see above: two nights ago I made that Jambalaya and I bet even that white-haired guy from the Cajun cooking show would’ve loved it. 1. 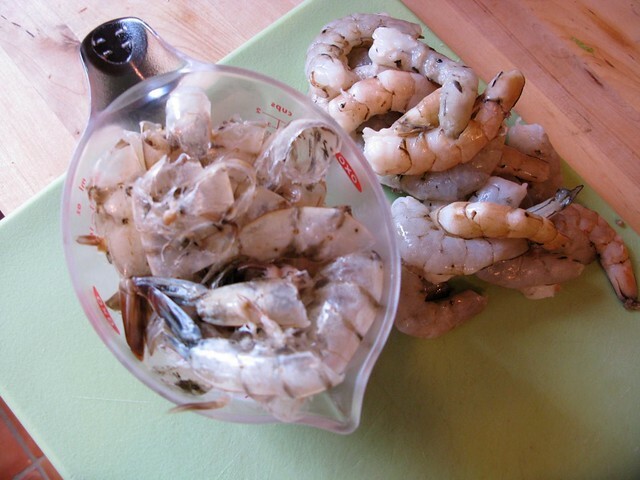 Peel the shrimp and place in a bowl, reserving the shells separately. In a medium saucepan, bring the chicken broth to a boil over medium-high heat. Add the shrimp shells and the shrimp boil, turn the heat to low, and simmer for 30 minutes. Remove the shells and discard. Turn off the heat. 2. In a broad-bottomed 4-quart pot (“Hey, who you calling broad-bottomed? ?”), heat the oil over medium-high heat until it shimmers. Add the sausage, turning the pieces with tongs until the outer surface of the sausage pieces are browned all over, about 6 minutes total. Remove to a plate and reserve the sausage. 3. 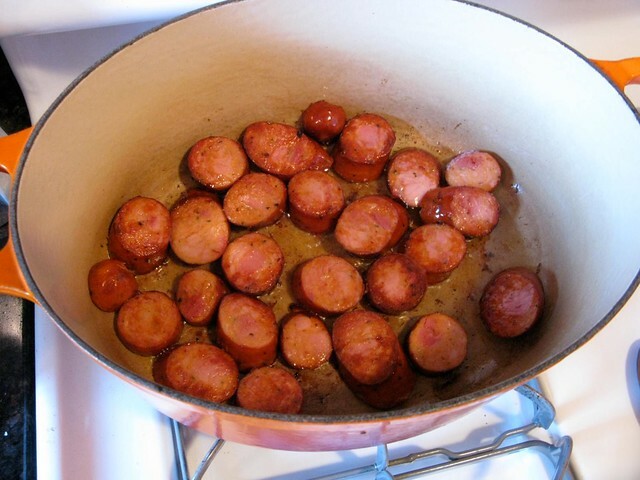 Brown the chicken: add the chicken thighs to the sausage fat in the pot–in batches, if necessary; don’t crowd the pan–and sprinkle them with pinches of salt and pepper. Saute them on one side until they are a rich golden brown, about 4 minutes, agitating them every so often and adding drops of oil, if necessary, to keep them from sticking. 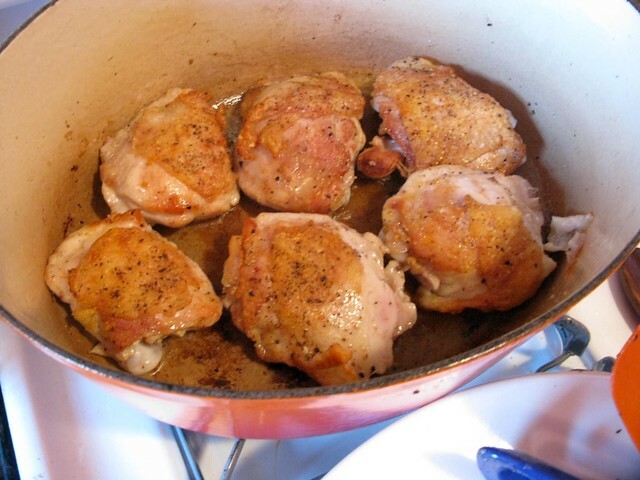 Turn the thighs, sprinkle them again with pinches of salt and pepper, and saute until the other side is nicely browned. Remove to a plate and reserve. 4. 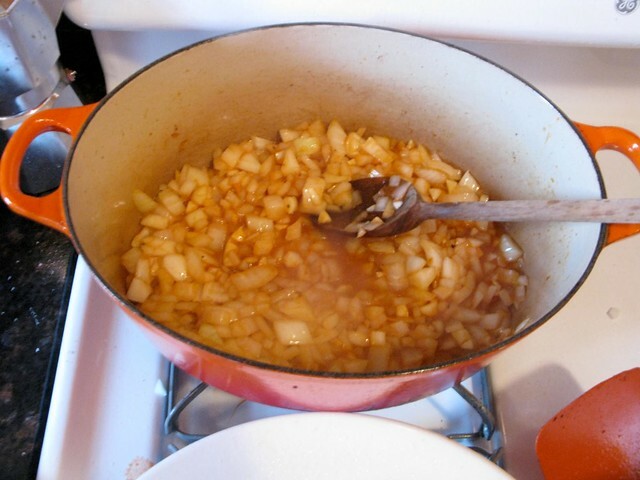 Add the onion, garlic, and 1/4 cup reserved tomato juice to the pot and saute, stirring and scraping up any brown bits from the bottom, until the vegetables are softened and fragrant, about 3 minutes. Add the tomatoes, crushing them as you add them. 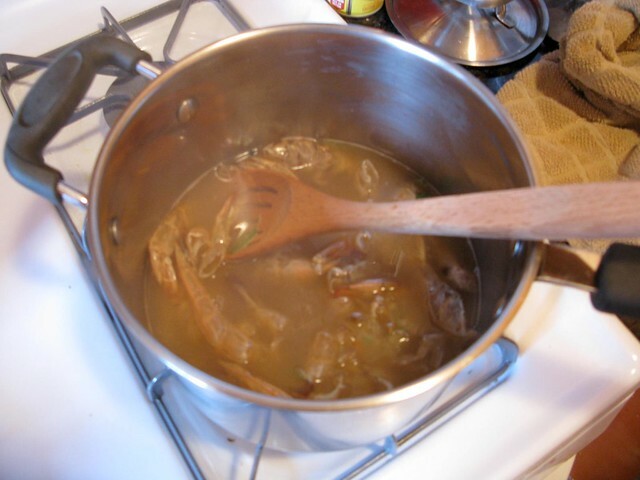 Turn the heat to medium-low and simmer until the ingredients are thoroughly mixed and thickly soupy, 4 to 6 minutes. Add the chicken, nestling the thighs in the stew. 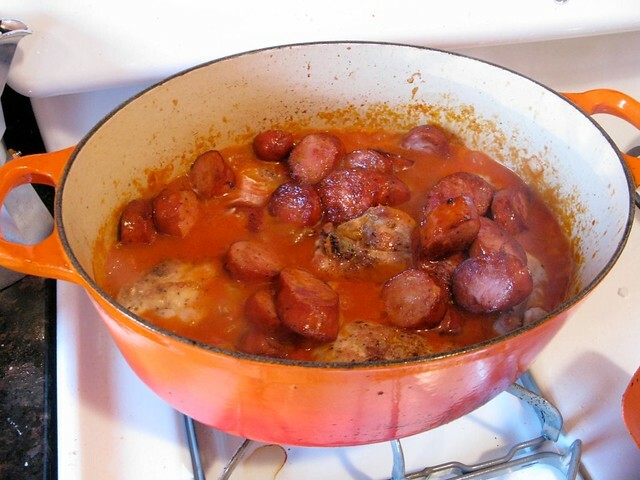 Then add the sausage and any juices that may have drained from the chicken and the sausage. 5. 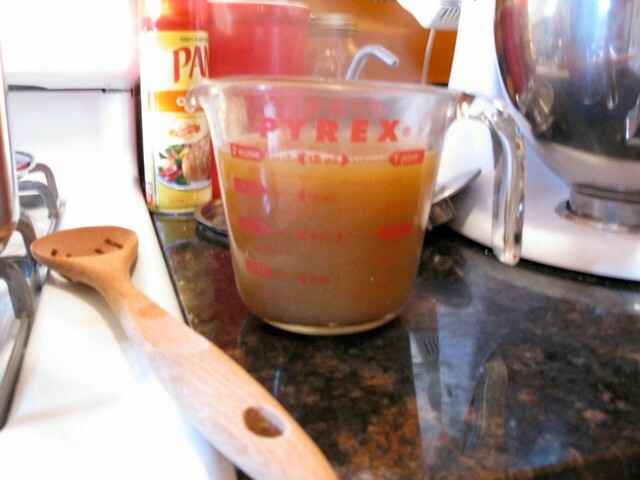 Strain the broth into a measuring cup…. 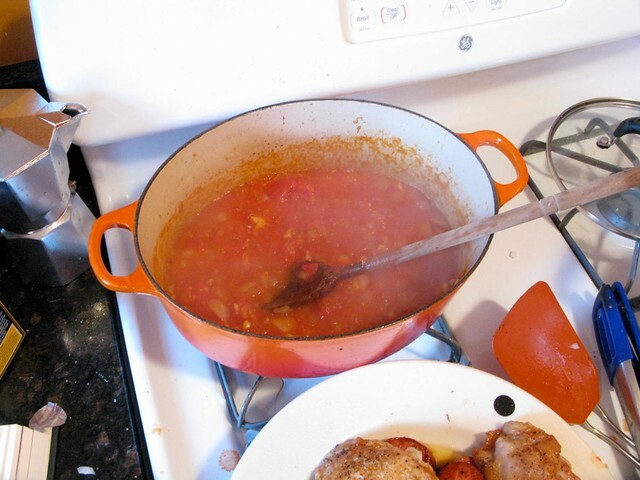 …and add enough of the remaining tomato juice to make 3 cups of liquid. Add the liquid to the pot and then add the rice. 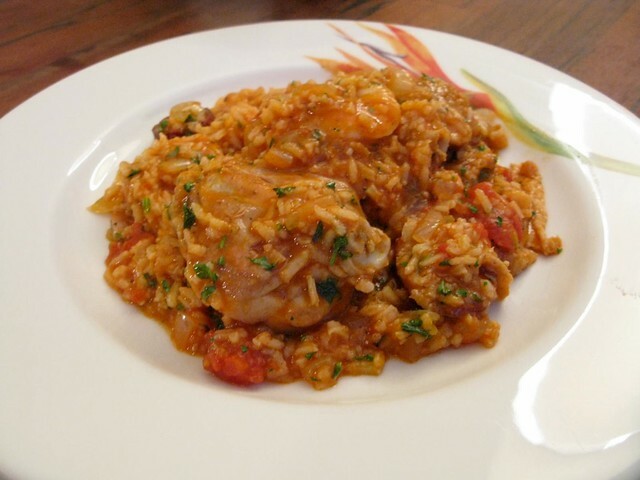 Cover and cook over low heat for 25 minutes, or until the rice is tender and has absorbed most of the liquid. Turn off the heat and add the shrimp, stirring to distribute. 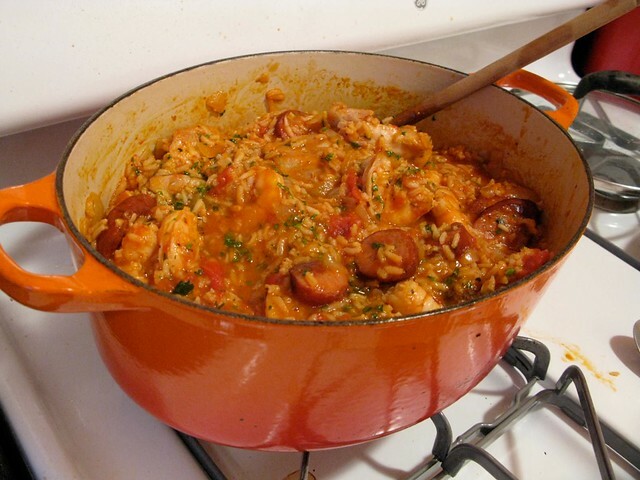 And that’s how you make Jambalaya. This post is part of a Seafood Celebration series, which is sponsored by Red Lobster. Check out their new American Seafood menu at RedLobster.com and discover regionally inspired seafood creations starting at $12.99.